Coral Hotel is situated right on the waterfront of Paleo Faliro, an elegant seaside suburb of Athens bursting with life, with shops, cafes, restaurants, bars, a breadth of activities at the newly developed park of Flisvos Marina and close to Stavros Niarxos foundation. Its strategic location on the Athenian Riviera, only a 15 minute drive from the center of Athens and close proximity to the port of Piraeus make this very well located hotel in Paleo Faliro, close to sightseeing attractions, beaches and sites worth visiting, the perfect starting point for city adventures, island-hopping, athletic ventures, business travels and romantic getaways. Visitors can enjoy direct access to Coral Hotel with a bus, tram or taxi as it is idyllically located on Possidonos avenue close to the market. Possidonos avenue is a scenic coastal road stretching for 60km from the Athens’ port of Piraeus to the southernmost tip of Attica, Cape Sounio, known for the Sanctuary of Poseidon, dating back to the 5th century B.C. Travelers seeking for quality hotels near Vouliagmeni, 4 star hotels near Athens’ port, sea view Paleo Faliro hotels and business hotels near Glyfada or a combination of all in an affordable seaside hotel near Athens are welcome to stay at Coral Hotel and discover one of the most stylish seaside destinations in Athens. Visitors are invited to discover the coastal surroundings while strolling or jogging along the sea, enjoy a great range of recreational activities and embark on sailing and water sports adventures, take in the breath-taking views to the Saronic Gulf and the Kastella peninsula and attend a series of major athletic events at the nearby sports centers including the Karaiskaki and the (SEF) Peace and Friendship stadiums. Athens is a city full of life, day and night, with scenic neighborhoods filled with several shops, bars, restaurants, sites and attractions worth seeing. Paleo Faliro is a densely populated suburb south of the center of Athens near the districts of Marina Flivos, Glyfada and Vouliagmeni, favored for their vast shopping, leisure and recreational choices. The bustling commercial center of Paleo Faliro, the renowned night time scene of Glyfada, the newly developed Marina Flisvos with the movie theatres, the sports and dining choices as well as the easy access to all kinds of public transportation make Paleo Faliro the ultimate choice for a holiday in Athens beyond expectations. Athens International Airport “Eleftherios Venizelos” is situated about 40 minutes (35 km) from the hotel and can be reached either by taxi or by the express airport bus available 24 hours per day. Bus Line X96 Piraeus - Airport Express starts from the center of Piraeus (Karaiskaki Square) and via Possidonos Avenue, Varis-Varkizas, and Varis-Koropiou roads and finally terminates at the airport. The bus stop for the hotel is Flisvos Bus Stop. The ticket for the Express Line X96 costs 6,00€ (one way ticket) while tickets for all other public transport means (buses, trolley-buses and metro) cost 1,40 Euros and are valid for 90 minutes. The town of Glyfada, well known for its exclusive shopping and night time scene via public transportation. Vouliagmeni Beach offers tennis and volleyball courts, all available for hourly rentals. Kids can enjoy the play area and the water slides provided. Families and groups can rent cabins. There is also a restaurant on the beach. Fine dining restaurants in the nearby towns of Glyfada, Vouliagmeni and Piraeus. Glyfada Beach – a popular beach destination during the summertime which attracts most Athenians and tourists. Apart from the densely populated sandy beaches, marinas and array of water sports, a series of private coves can be found between the public beach of Vouliagmeni and Varkiza. Glyfada beach is perfect for families, children and friends as it offers a great range of activities for everyone to enjoy. There are many trendy nightclubs and bars that line the beach and the coast. During the summer, many nightclubs and restaurants move to Glyfada. The portal of the City of Athens, with up-to-date information about all kinds of activities throughout the city. The new Acropolis Museum is located in the historical area of Makriyianni, southeast of the Rock of Acropolis. It is directly linked to the Athens Metro by the Acropolis Station. A great source for public archaeological museums and collections around Greece. Download the handy and concise guide, with useful information such as addresses, contact details, opening hours and services. Athens and Attica sites appear in pages 1-20. The most important archaeological museum in Greece and one of the richest in the world concerning ancient Greek art. This group of collections comprises of many distinct categories totaling to more than 40.000 items illustrating the character of the Greek world through a spectacular historical panorama. Named after its patron goddess Athena, the historic city of Athens is famed for its wealth of classical temples and museums full of ancient art and artifacts. Athens is also home to an important biblical site, numerous historic Greek Orthodox churches, more than one mosques and several modern religious sites. Flisvos Marina is an upscale marina operating according to top international specifications while accommodating the distinctive needs of all sized yachts. The creation of a commercial complex across an area of 3.800 sq.m. has been completed offering both yacht owners and visitors from all of Attica numerous dining, shopping and recreational opportunities – all within an amazing natural environment overlooking the blue Mediterranean sea. Online Travel Services for all your travel needs. The Greek islands are an integral part of the country’s culture and tradition. The Greek sovereign land includes 6,000 islands and islets scattered in the Aegean and the Ionian Seas, of which only 227 islands are inhabited. This is a truly unique phenomenon for the European continent making Greece a sought out tourist destination. An online travel guide where readers can find the most authoritative, comprehensive travel information available. Information on Athens, Greece. The official website of the Metropolitan mass transit underground system serving the Athens basin; schedules, pictures, and projects information. 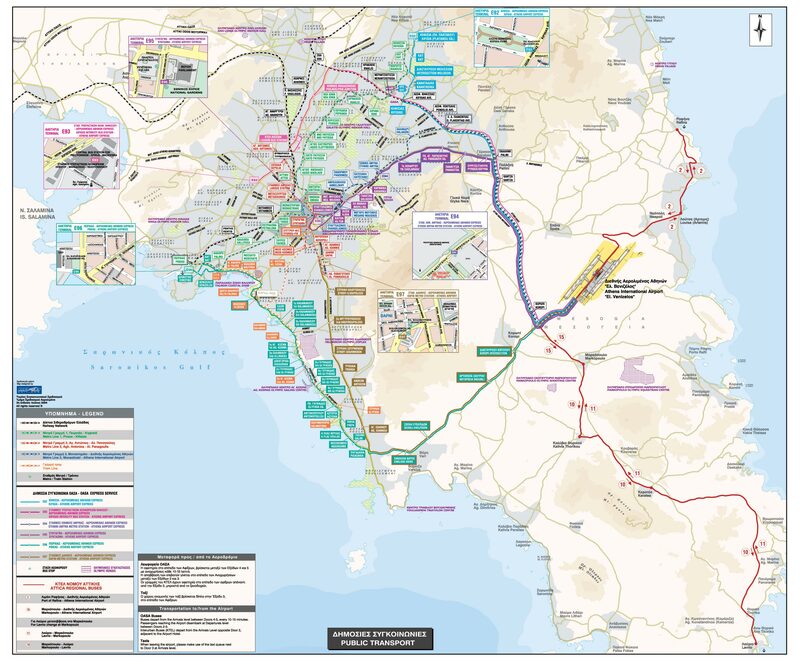 Detailed route maps and schedules connecting Paleo Faliro with Syntagma Square. Sharing the richness of our Mediterranean culinary heritage with all of you who enjoy the fine tastes of Greek cuisine.